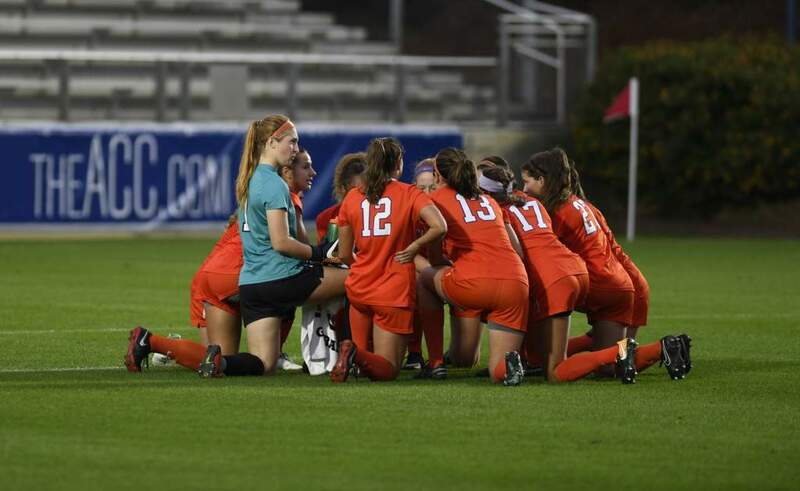 CLEMSON, S.C. – After leading the Tigers to a share of the ACC Regular Season Championship for the first time since 2000 and only the second time in program history, Head Coach Eddie Radwanski has been named the 2016 Atlantic Coast Conference Women’s Soccer Coach of the Year, as announced by the conference office on Thursday afternoon. Four Tigers, Catrina Atanda, Kailen Sheridan, Sam Staab and Claire Wagner, earned All-ACC accolades for 2016 as well. 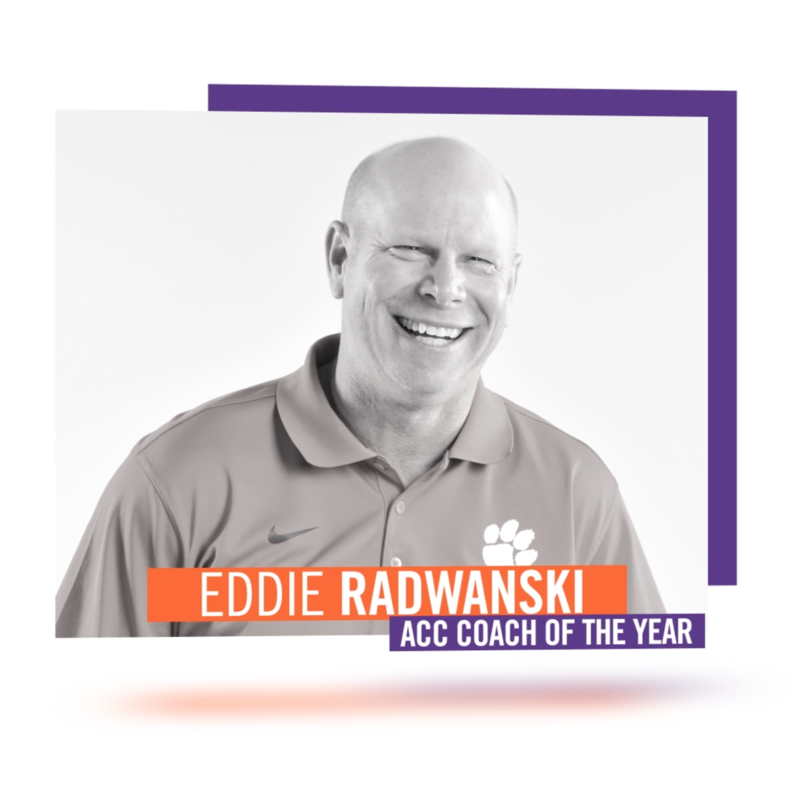 Radwanski, who is in his sixth season at Clemson, led the Tigers to a 7-1-2 ACC regular season record in 2016, earning a share of the conference’s regular season title. He is also taking the team to the ACC Tournament Semifinals for the second-consecutive year, as the team travels to Charleston, S.C. to face Florida State on Nov. 4. 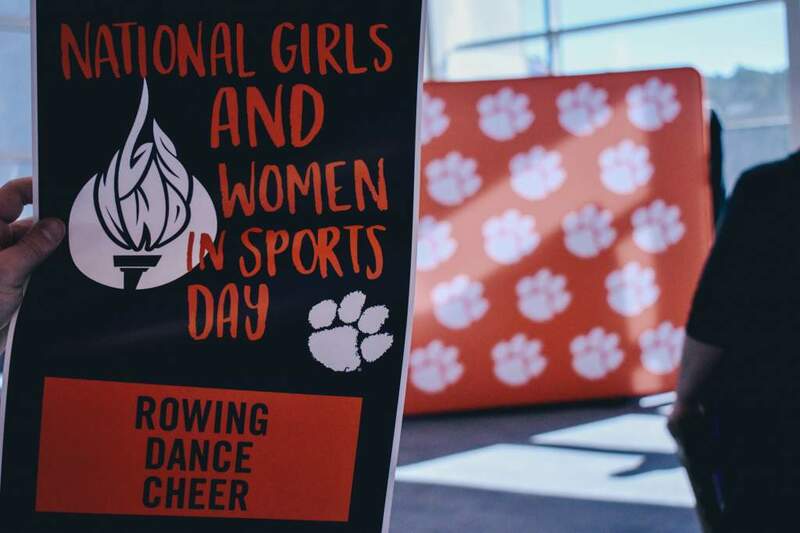 Radwanski is only the second women’s soccer coach in Clemson history to earn the ACC’s highest coaching honor, as Ray Leone was also named ACC Coach of the Year in 2000. Senior Catrina Atanda is a member of the All-ACC First Team for the first time in her career, after being listed on the All-ACC Second Team the past two seasons. The midfielder from Belle Mead, N.J. leads Clemson and the ACC in scoring with 12 goals and four assists for 28 points on the year. She also has five game-winning goals in 2016, a figure that ranks 15th nationally. Atanda’s 30 career goals put her at eighth in Clemson record books in that category. Goalkeeper Kailen Sheridan was also named to the All-ACC First team, for her third consecutive time. The senior from Whitby, Ontario has 57 saves, a .803 save percentage, a 0.84 goals allowed average and 11 wins in 17 matches for the Tigers so far this season. 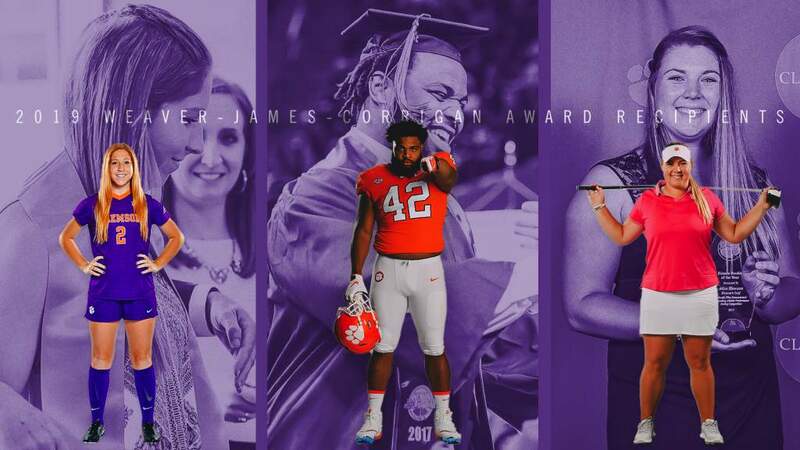 Sheridan is just the third Tiger to earn first-team all-conference honors three times in her career, joining Clemson Hall of Fame members Deliah Arrington (2000-02) and Sarah Burkett (1995-98) in that category. She is only the second Clemson player, joining Burkett, to earn all-conference honors four times in her career, as she was a Third Team All-ACC selection as a freshman in 2013. Sam Staab earned All-ACC Second Team honors this season, after being a member of the ACC’s All-Freshman Team in 2015. Staab ranks second on the Tiger team in scoring with 15 points on two goals and 11 assists. The 11 assists rank the defender and San Diego, Calif. native at third in the nation in total assists and ninth nationally in assists per game (0.58). Her 17 career assists in just two seasons already have the sophomore listed in a tie for ninth in Clemson record books for career assists. Senior defender Claire Wagner is the Tigers’ fourth All-ACC honoree in 2016, and was named to the Third Team for the second-consecutive year. 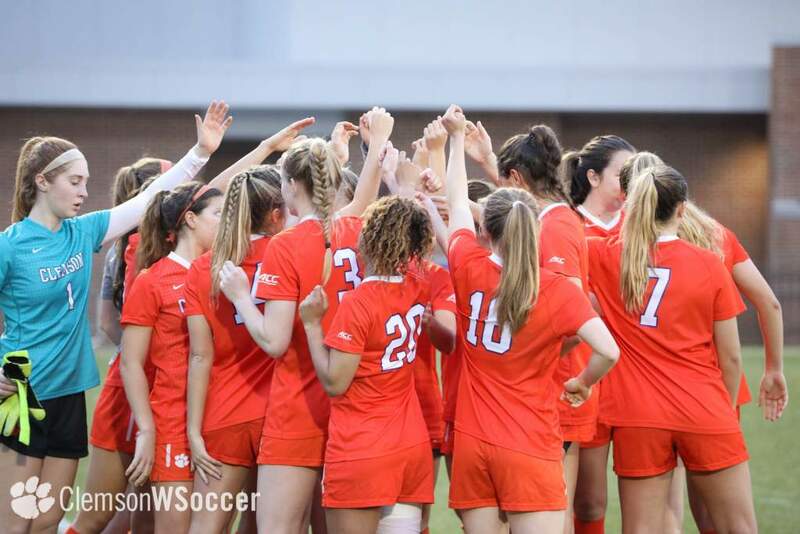 The native of Cary, N.C. has anchored the Clemson back line for four seasons, including in 2016, when the team has given up just 15 goals in 19 matches for a 0.76 team goals against average. Despite playing a defensive role, Wagner is also in double figures in scoring this season, with four goals and two assists for 10 points.